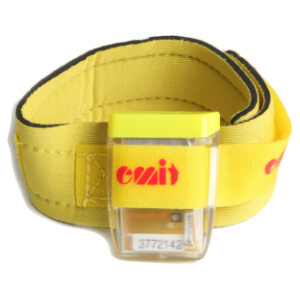 The emiTag-chip is an active, electronic timing chip, that can be used in a variety of sports. It has been produced and sold since 2008, The built-in LED now flashes for 5 seconds when a read is registered. The emiTag is compatible with TFT controls and the new TFP controls, but cannot be used with standard control units or ePost controls. The signal from an etag can be picked up by an eLink radio transmitter and posted to our server.